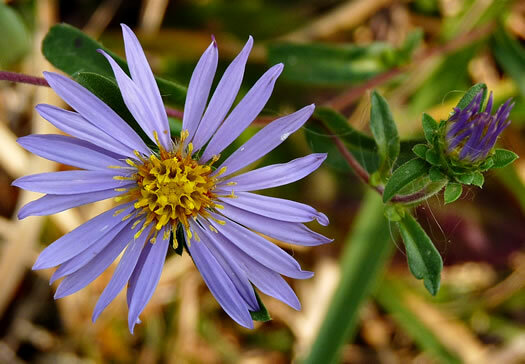 Your search found 21 image(s) of involucral bracts of North American asters. 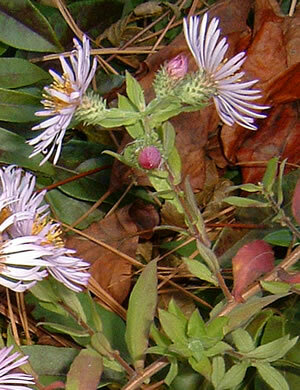 Involucres narrowly campanulate to cylindric, upper bracts usually squarrose, per Vascular Flora of the Carolinas. 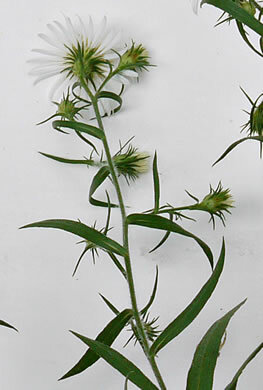 Involucral bracts whitish with green tips, per Wildflowers of Tennessee, the Ohio Valley, and the Southern Appalachians. 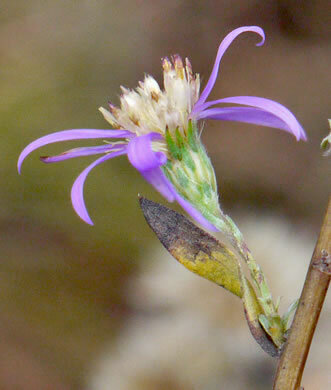 Phyllaries with lanceolate diamond-shaped blaze (2-3x long as wide), per Weakley's Flora. 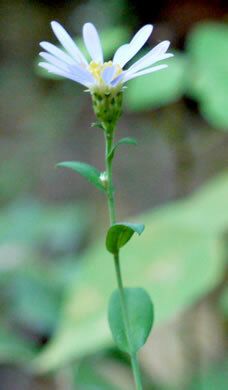 Phyllaries with short (1-1.5x as long as wide) diamond-shaped green blaze, per Weakley's Flora. 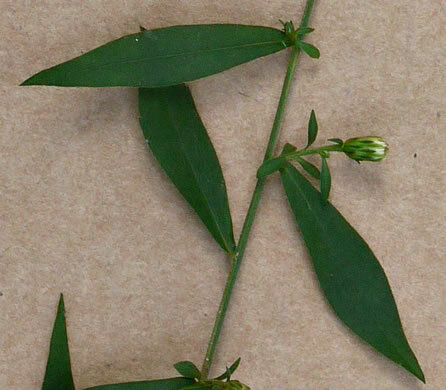 Phyllaries with linear-lanceolate-shaped green blaze (> 4x as long as wide), per Weakley's Flora. 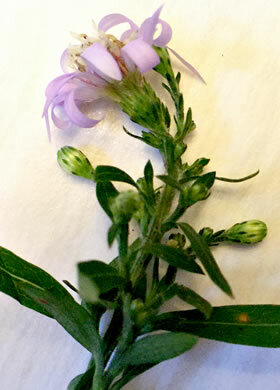 Bracts pale with green diamond-shaped band near apex or along entire midrib, per Vascular Flora of the Carolinas. 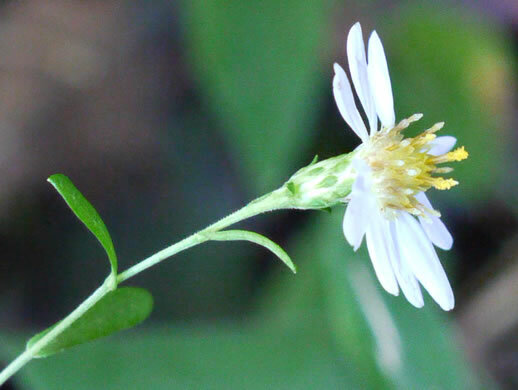 Phyllaries in 4-7(8) series, appressed or often slightly recurved-spreading, per Flora of North America. 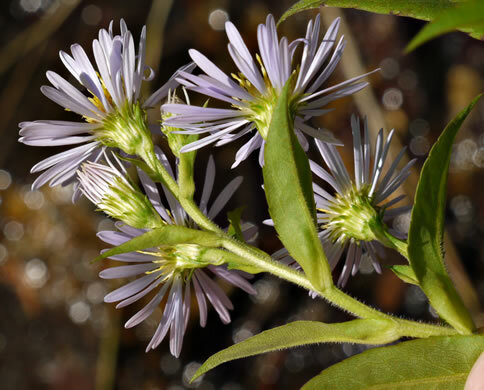 Phyllaries in 4-7 series, apices spreading or reflexed, often purplish, per Flora of North America. 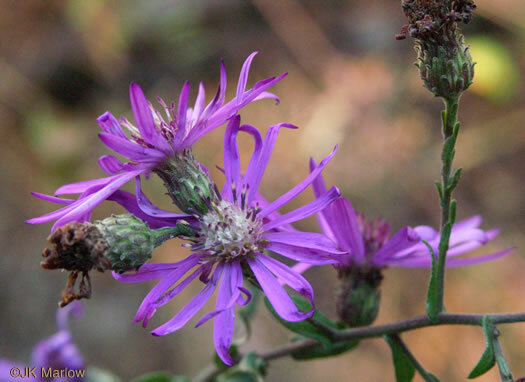 The involucral bracts are spreading but not recurved, per Wildflowers of the Southern Mountains. 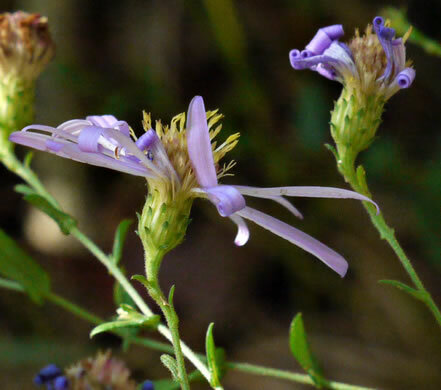 Involucres hemispheric to campanulate; bracts green, per Vascular Flora of the Carolinas. 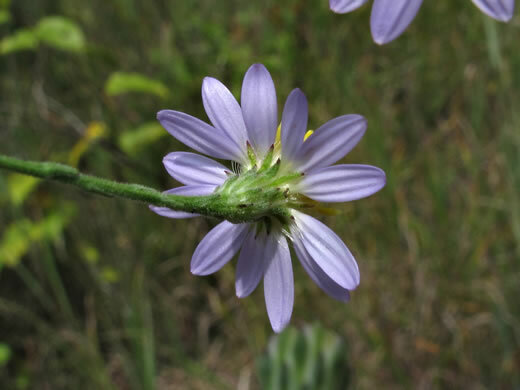 Readily recognized by the green, leafy, strongly recurved, involucral bracts, per Wildflowers of the Southern Mountains. 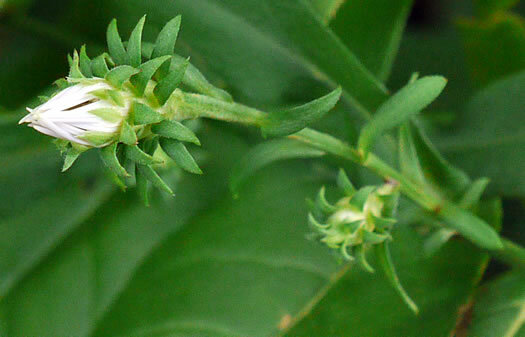 Involucral bracts whitish, green with dark green foliaceous apices, per Vascular Flora of the Carolinas. Phyllaries in 3-5 series, appressed, strongly unequal, green distally, per Flora of North America. 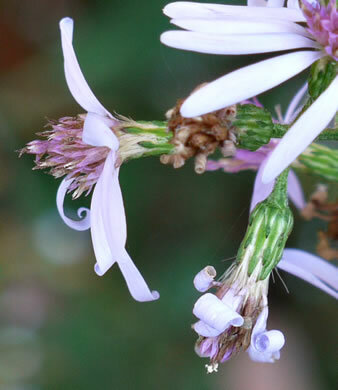 Phyllaries & upper stem lvs moderately to densely sericeous (silky-pubescent), per Weakley's Flora. 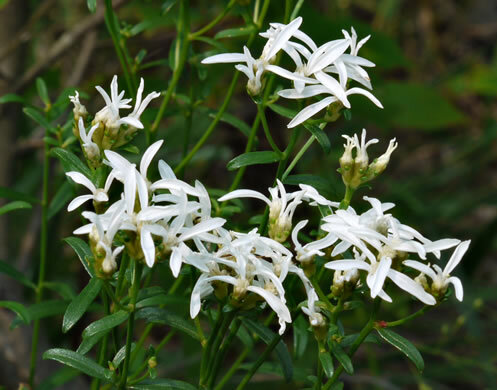 Involucres turbinate; bracts whitish with green midrib, appressed, glabrous, per Vascular Flora of the Carolinas. 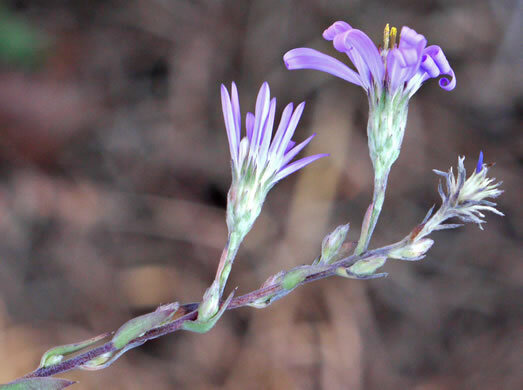 Involucral bracts lanceolate, acuminate, the apex acicular [needle-like], per Vascular Flora of the Carolinas. 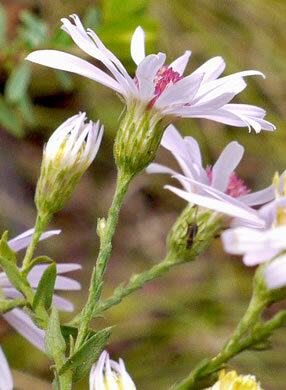 Involucres turbinate; bracts whitish with green midrib, per Vascular Flora of the Carolinas. 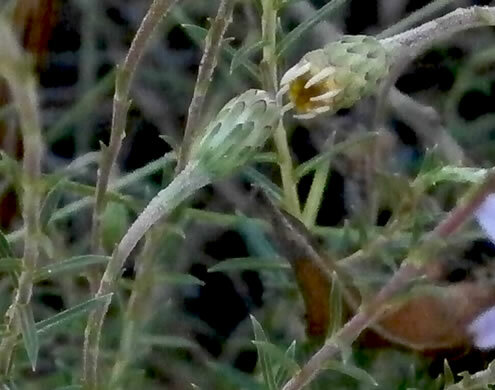 Involucres cylindro-campanulate. 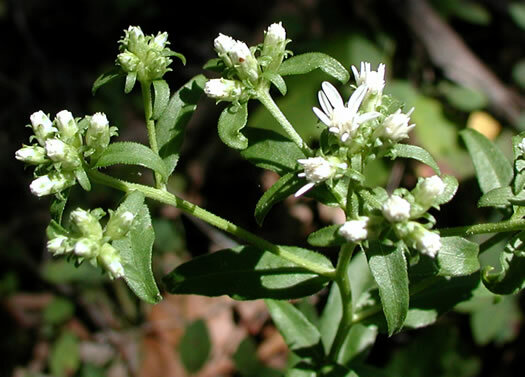 Phyllaries appressed or slightly spreading, per Flora of North America. 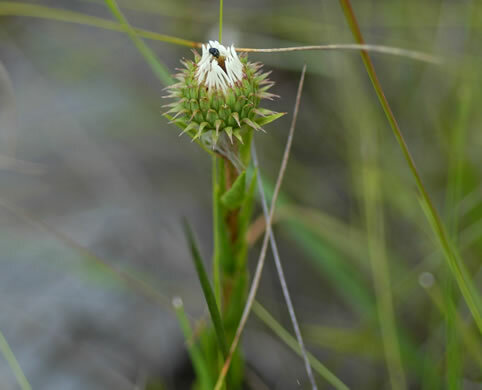 A conspicuous rounded involucre of green bracts, per East Gulf Coastal Plain Wildflowers. 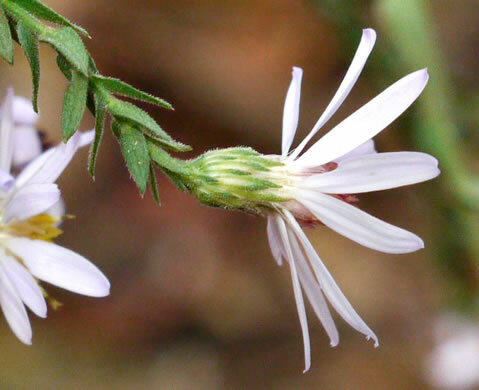 Phyllaries in 3-4 series, slightly unequal, narrowly oblong-lanceolate, per Flora of North America.